Lillian DeLuca (nee Pisko) of Cherry Hill, NJ. Passed away on February 1, 2019 at the age of 81. Beloved wife of Joseph DeLuca for 60 years. Loving mother of Joseph DeLuca (Kristina) and Steven DeLuca (Charity). Proud grandmother of Allison, William, Emily, Isabella, Grace and Owen. Dear sister of Joan VanLobenSels (James) , her late brothers Joseph Pisko (surviving sister-in-law Dolores) and Daniel Pisko (surviving sister-in-law Priscilla). She leaves behind many cherished family members and close friends. 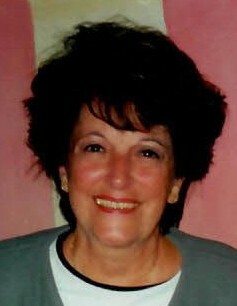 Lil had worked for many years as the smiling receptionist for multiple South Jersey law firms for over 40 years. Relatives and friends of the family will meet for the visitation on Friday morning February 8th, 2019 from 9:30AM to 10:30AM at The Catholic Community of Christ Our Light Church, 402 North Kings Hwy., Cherry Hill, NJ. Funeral Mass will be celebrated immediately following at 10:30am. In lieu of flowers, the family has requested contributions in Lillian’s memory to Breast Cancer Research Foundation: www.bcrf.org.